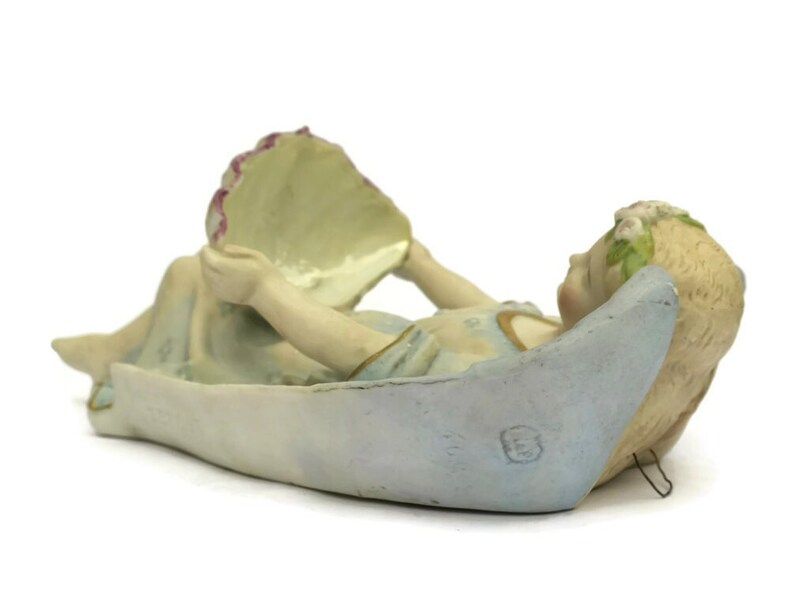 Antique Porcelain Angel Holy Water Font. French Religious Gift. Christmas Angel Figurine. 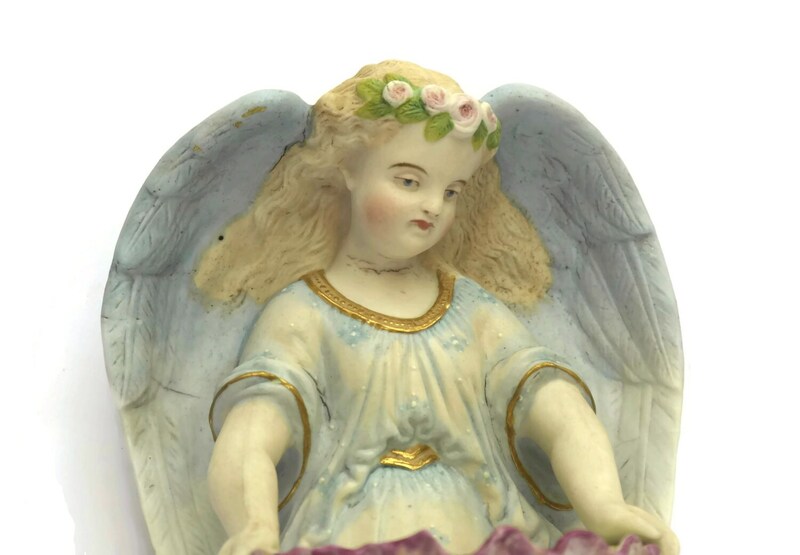 A beautiful antique porcelain holy water font with the figure of an angel. The large wall-hanging has been created from hand-painted bisque porcelain with gold accents. 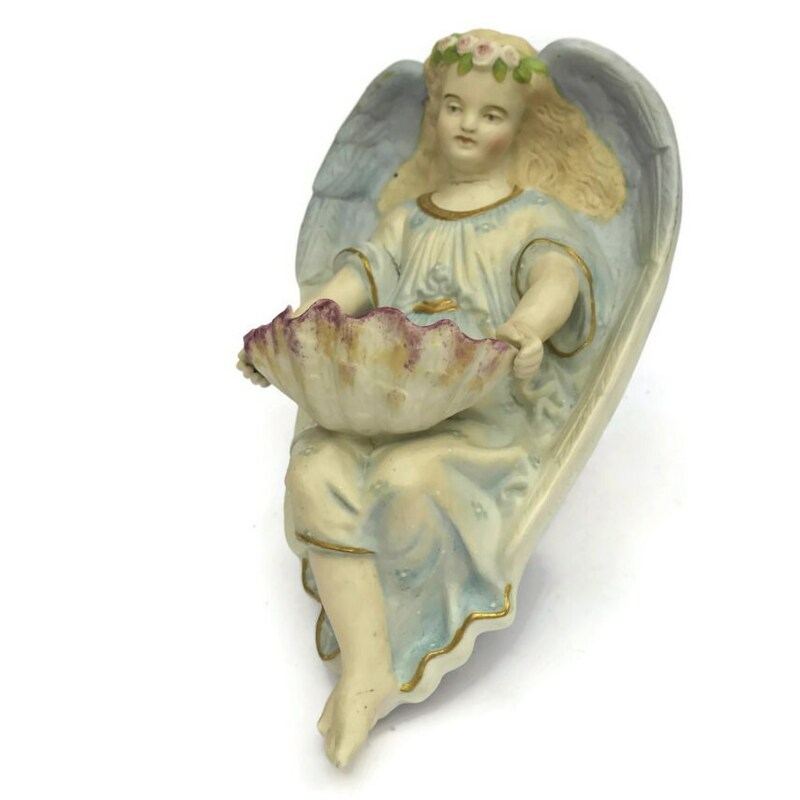 The angel has a crown of roses and holds a water reservoir in the form of a clam shell. The font has been stamped with the manufacturer's marks on the side and base and has a wire hook for hanging. •	11” Tall x 7” Wide x 4" Deep (28cm x 17cm x 10cm). 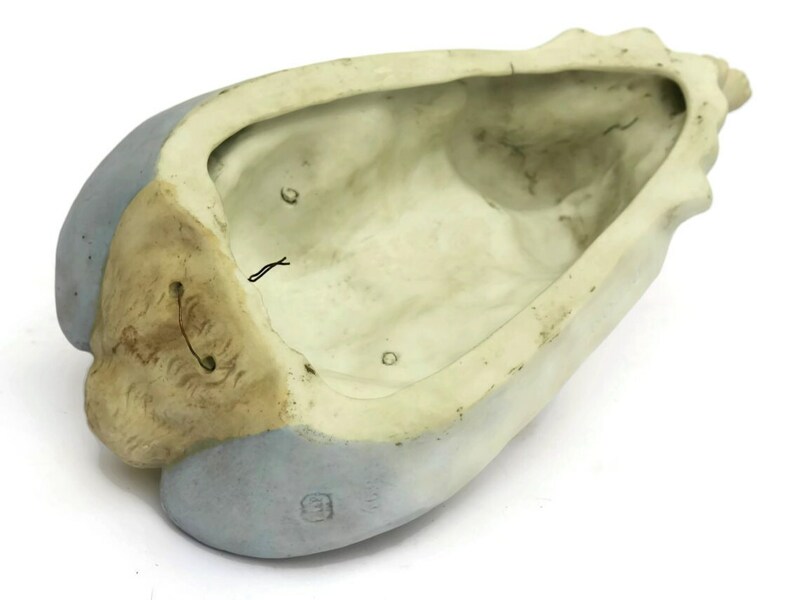 •	Good condition with some small production flaws around the neck and arms from the kiln firing. •	Antique item made in France. 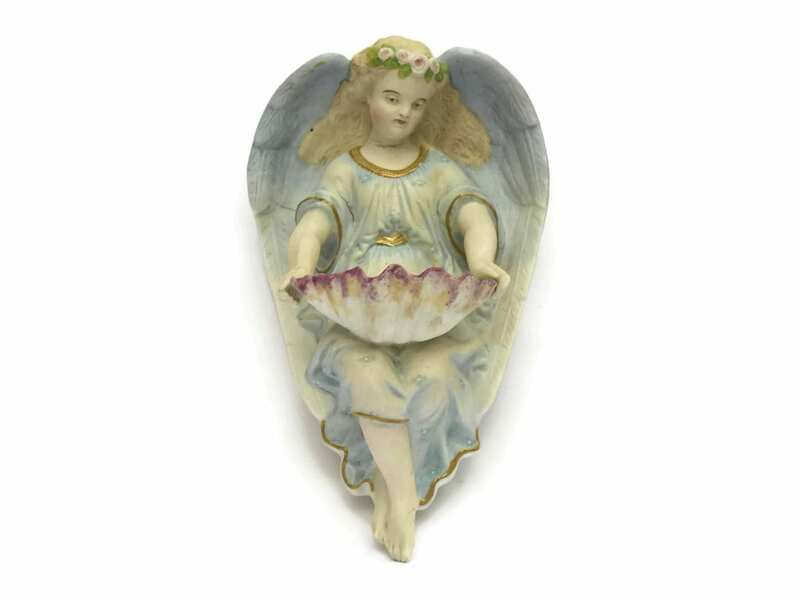 Item ref: Antique Porcelain Angel Holy Water Font. French Religious Gift. Christmas Angel Figurine.